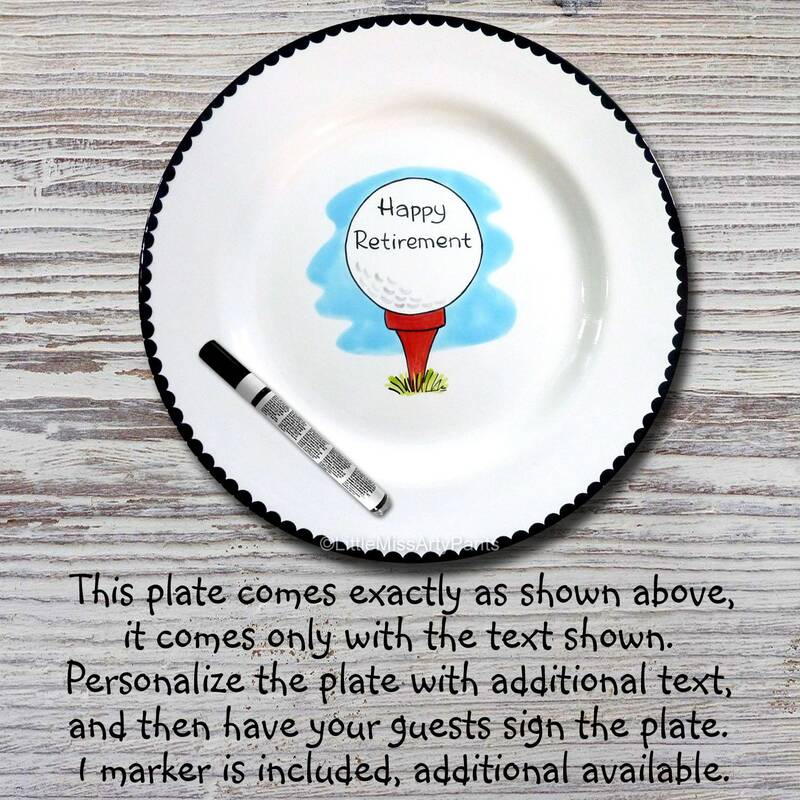 * THIS PLATE DOES NOT INCLUDE ANY PERSONALIZATION WITH TEXT. 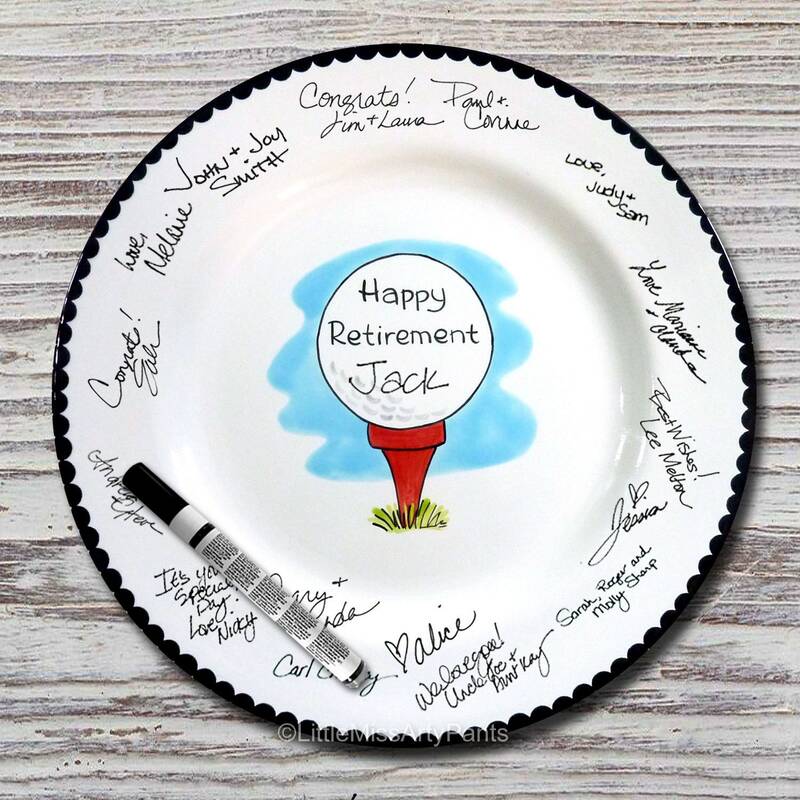 THE PLATE HAS ALL READY BEEN PAINTED AND KILN FIRED, THEREFORE I CANNOT PERSONALIZE OR CUSTOMIZE THIS PLATE FOR YOU. 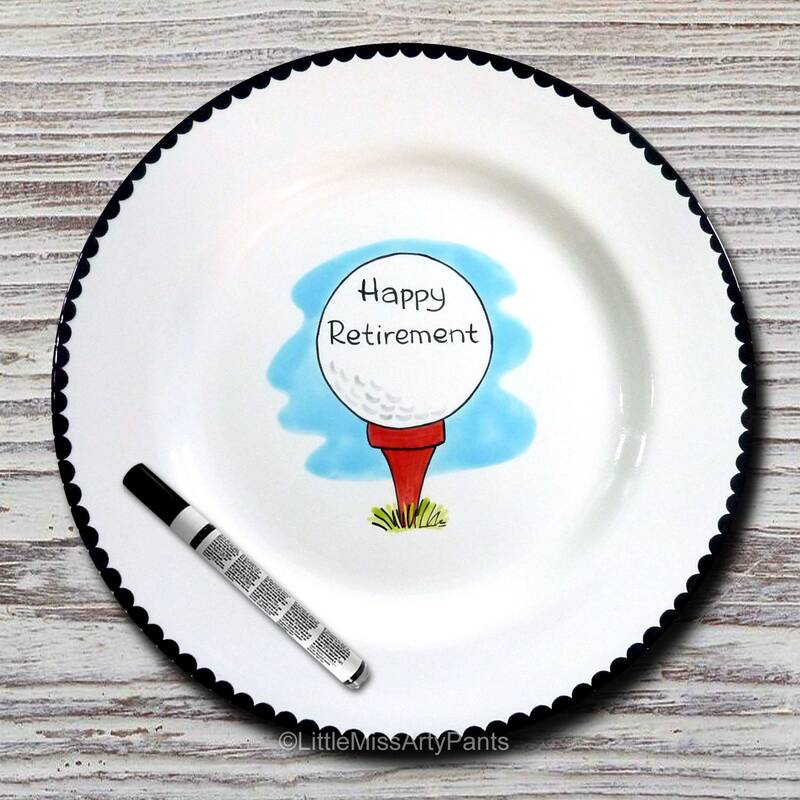 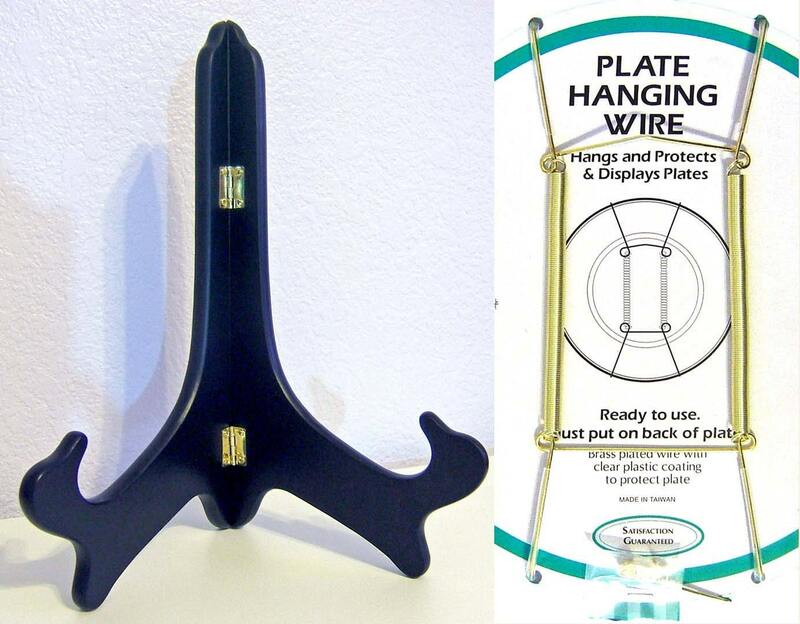 IT IS SOLD AS IS, A WHITE PLATE WITH THE DESIGN IN THE CENTER OF THE PLATE AND only includes the text "Happy Retirement". 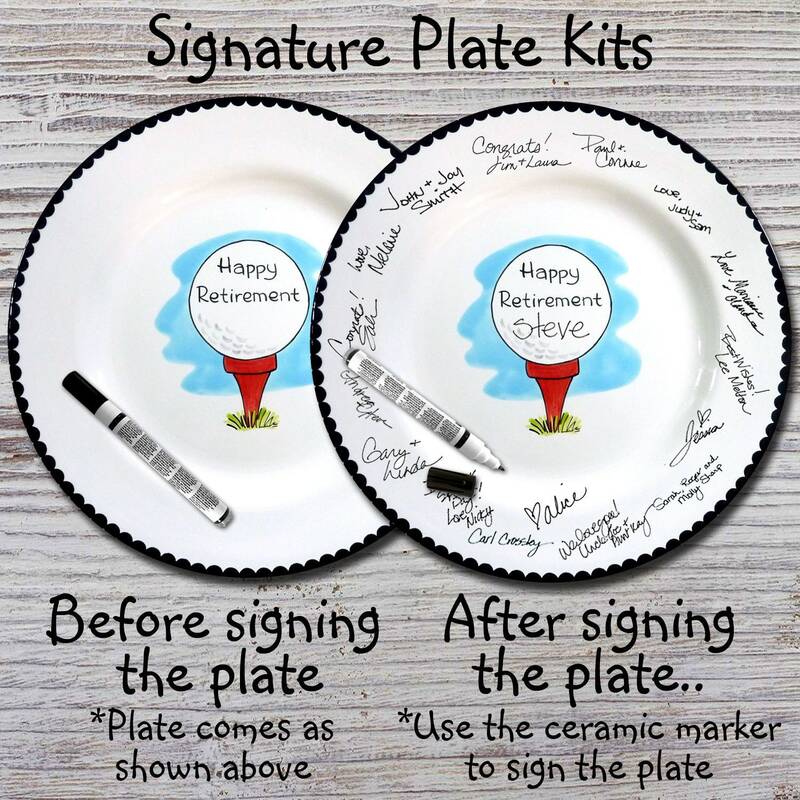 IF YOU WOULD LIKE A NAME OR OTHER TEXT ON THE PLATE, YOU CAN USE THE INCLUDED MARKER TO PERSONALIZE THE PLATE WITH YOUR TEXT.